WINGFIELD PINES. A passive remediation system in Upper St. Clair, PA (Allegheny County), south of Pittsburgh. It was designed by Bob Hedin and was completed in 2009. It was designed to treat several underground alkaline mine discharges that was polluting Chartiers Creek. The underground mines are gravity fed by an underground pipe, before exiting through an aeration pipe. The water then flows through 5 settling ponds and a constructed wetland before emptying into Chartiers Creek. The Passive remediation system is operated by the Allegheny Land Trust, for additional information please visit their website. UPDATE: as of December 2017, the system has failed and is currently being fixed. LOWBER. A passive remediation system in Lowber, PA (Westmoreland County), east of Pittsburgh. This system was also designed by Bob Hedin and was completed in 2006. It was designed to treat an underground alkaline mine discharge. The system consists of aeration troughs between the 6 settling ponds and a large wetland. Once the water leaves the system, it returns to Sewickley Creek. The remediation system is operated by Sewickley Creek Watershed Association, for more information visit here. MIDDLE BRANCH. A passive system found in Clinton county, PA that was built in 2000 to treat two acidic mine discharges (from deep mines and surface mines) that were impacting part of the Twomile Run watershed. 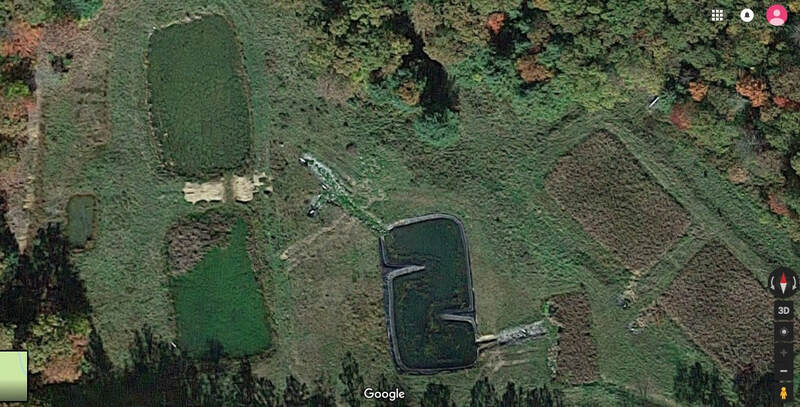 The system consists of a collection pond, two vertical flow ponds (VFPs) containing limestone and compost, a settling pond, an aerobic wetland, and two manganese removal beds (oxic limestone beds). The system was originally built by the PA DEP Bureau of Abandoned Mine Reclamation (BAMR) in 2000, but due to system failures was rehabilitated in 2007 by Hedin Environmental. The rehabilitation included conversion of the manganese beds to VFPs. For a detailed report of the rehabilitation project click here. The remediation system is maintained by the Kettle Creek Watershed Association (more information can be found on their website). BOYCE. A passive system built in 2008 to treat several points of acidic mine drainage in Plum Boro, PA. Consists of 3 vertical flow wetlands (VFW) containing compost and limestone, a limestone pond, 3 settling ponds, and a polishing pond (compost and wetland plants) at the end of the system before entering back into Piersons Run. The remediation system is operated and maintained by Allegheny County Parks.